Pocar House, outbuilding and collections are an exceptional example of 18th c. alpine architecture and ethnological heritage. 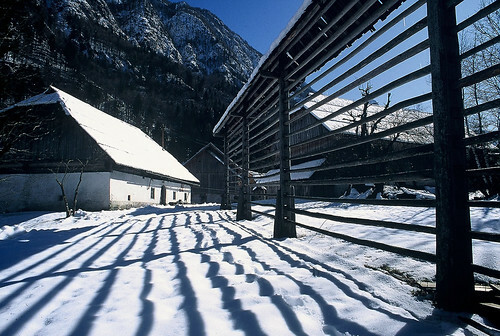 After the death of the last owner in 1991 the property has been managed by Triglav National Park. Conservation work included the inventory of ethnological objects, traditional carpentry and tiling works, and the elimination of mould. The farm house today has been transformed into the museum, open during the summer months. Guiding is provided by local young people, while the outbuilding has become a popular venue for cultural events to represent local artists and their work. An information point for tourists and visitors had been established within the complex. It is also becoming an educational centre for different groups.